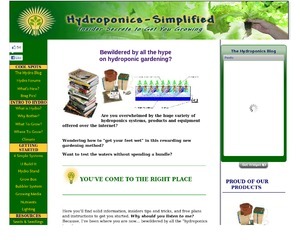 Hydroponics is at least as ancient as the Pyramids. The Hanging Gardens of Babylon, which are listed as one of the Seven Wonders of the World, used a crude form of hydroponics. The world's rice crops have been grown in this way from time immemorial. In 1934, however, a University of California professor adapted this time-tested technique to other crops. The results were twenty-five foot tomato vines that had to be harvested with ladders. 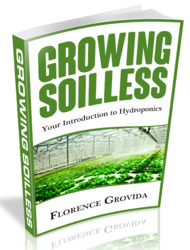 Modern hydroponics was born and it has been advancing ever since. During the Second World War, Allied soldiers ate hydroponic vegetables grown on their air and naval bases in the South Pacific. Today, hydroponic installations help feed millions of people; they may be found flourishing in the deserts of Israel, Lebanon and Kuwait, on the islands of Ceylon, the Philippines and the Canaries, on the rooftops of Calcutta and in the parched villages of West Bengal. Half of Vancouver Island's tomato crop and one-fifth of Moscow's are hydroponically produced. There are full-fledged hydroponic systems in American nuclear submarines, Russian space stations and on offshore drillings rigs. Large zoos keep their animals healthy with hydroponic green food, and race horses stay sleek and powerful on grass grown hydroponically year round. There are large and small systems used by companies and individuals as far north as Baffin Island and Eskimo Point in Canada's Arctic. Commercial growers are using this marvellous technique to produce food on a large scale from Israel to India, and from Armenia to the Sahara.